In 2011, the UN Palmer Commission Report found the blockade of Gaza -- jointly administered with Egypt -- to be legal, and said Israel owed Turkey neither an apology nor compensation. Lifting the Israel/Egypt embargo on Gaza would empower Hamas, and thereby the Muslim Brotherhood, Iran and ISIS -- which would seem an enormous risk for no gain. Turkish sources assert that Turkish-Israeli governmental relations are about to come out of the deep freeze. But this is a reflection of Turkey's regional unpopularity and glides over Turkish demands for Israel to end the blockade of Gaza. To meet Turkey's condition, Israel would have to abandon the security arrangement it shares with Egypt -- which has increased Israel's security and has begun to pay regional dividends. To restore full relations between Israel and Turkey would irritate Russia, with which Israel has good trade and political relations, and a respectful series of understandings regarding Syria. Israel's relations with the Kurds are also at issue here. 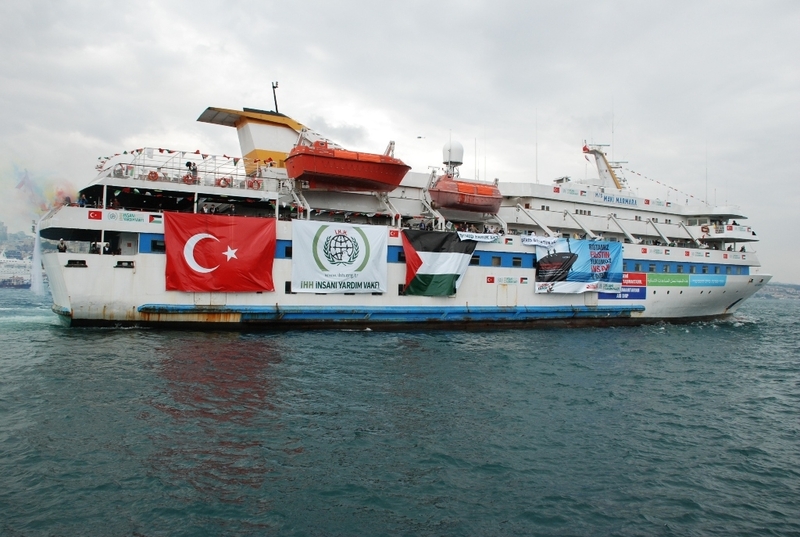 After the 2010 Mavi Marmara flotilla -- in which Turkey supported the Hamas-related Turkish organization, the IHH, in its effort to break the blockade of Gaza -- Turkey made three demands of Israel: an Israeli apology for the deaths of Turkish activists; a financial settlement; and lifting the Gaza blockade, which Turkey claimed was illegal. The last would provide IHH with the victory it was unable to achieve with the flotilla. In 2011, however, the UN Palmer Commission Report found the blockade of Gaza -- jointly administered with Egypt -- to be legal, and said Israel owed Turkey neither an apology nor compensation. In 2013, at the urging of President Obama and to move the conversation off the impasse, Prime Minister Netanyahu did apologize for the loss of life and agree to discuss compensation. While President Obama was pleased, Prime Minister Erdogan repaid the gesture by denigrating Israel on Turkish television and announcing he would force the end of the blockade. Israel's condition -- that the office of Hamas in Ankara be closed -- was ignored. Nevertheless, in February 2014, Turkish Foreign Minister Ahmet Davutoglu told Turkish television that Israel and Turkey were "closer than ever" to normalizing relations." 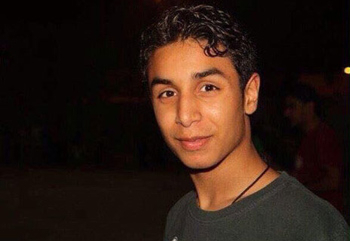 In December 2015, it was more of the same. And in February 2016, there was yet another announcement of imminent restoration of government-to-government ties. In March, Kurdish sources said Turkey was demanding weapons from Israel, but that Israel wanted to ensure that Turkey would not use them against Kurdish forces. Israel finds itself in an odd position -- choosing among those who want its cooperation. Coordination between us is very high and very important because we have identical interests. Period. The way to achieve them might look different, but Egypt is a very important country. It is crucial to the world to ensure its stability - progress in the fight against ISIS that is present in Sinai, and protecting the Suez Canal, and other things... They are all good reasons for Egypt to take these responsibilities seriously and do something about the threats. I'm very happy to see what they're doing. It is a good track. This month, Egypt and Saudi Arabia upgraded relations with Egypt, ceding back to the Saudis two islands that Saudi Arabia had given Egypt in 1950 to help Egypt fight Israel in the Red Sea. According to a report in the Egyptian daily al-Ahram, as reported by the Jerusalem Post, the Egyptian government informed Israel of the parameters of the deal, noting that Riyadh would be obligated to honor all of Egypt's commitments in the peace treaty with Israel, including the presence of international peacekeepers on the islands and freedom of maritime movement in the Gulf of Aqaba. Israel approved the deal "on condition that the Saudis fill in the Egyptians' shoes in the military appendix of the peace agreement," according to Defense Minister Moshe Yaalon. This makes Saudi Arabia an active partner in the Camp David Accords. And it follows on the heels of the Gulf Cooperation Council (GCC) labeling Hezbollah "a terror organization" without the weasel words the Europeans used to condemn only the "military wing" of the organization. In the face of these developments, it is hard to imagine a benefit that would accrue to Israel by negating the Israel-Egypt blockade of Gaza on behalf of Turkey. Russia presents a similar series of circumstances. Relations between Russia and Turkey have taken a nosedive over the Syrian civil war, particularly after Turkey shot down a Russian plane. But even before that, Turkey's support of Sunni jihadist organizations was a thorn in the side of Russia, which still fears Sunni jihad inside southern Russia. The [Israeli] Prime Minister and Chief of Staff [Gantz's successor] flew to Russia and had some important of discussions of intentions, deconfliction, and we expressed our interests... stability, preventing terrorist activity... preventing armament that will go from Iran through Syria to Hezbollah, or from Russia to Syria and then to Hezbollah.... People can see what it is that Israel does once in a while when it has to protect itself. Add to this Israel's generally good economic and political relations with Russia and, again, it is hard to see the benefit that would accrue to Israel by forging closer relations with Turkey while Russia and Turkey are doing a slow burn. Turkey is doing a faster burn on the Kurds. Having waged a fierce war against Kurdish separatists in southern Turkey, the Turkish government has taken military action against the Kurds of Iraq and Syria to prevent Kurdish forces from connecting two enclaves -- one in Iraq and one in Syria -- that could form the geographic beginning of an independent Kurdistan. Even at the peak of Israeli-Turkish relations, Israel's support of the Kurds has been a relatively open political secret. Although the Israeli government consistently denies providing weapons, reputable sources suggest, at a minimum, training for Kurdish forces. Most recently, Israel acknowledged buying oil from Kurdish sources in Northern Iraq, and IsraAid, an Israeli humanitarian organization, provided assistance to Kurdish refugees fleeing ISIS. Prime Minister Netanyahu has publicly supported the establishment of a Kurdish state. For Israel to trade its increasingly important relations with Russia, with Egypt -- and thereby with Saudi Arabia -- and with the Kurds for Turkish political approval and a promise to buy Israeli natural gas would seem to be a bad deal. For Israel to accompany that with the lifting of the Israel/Egypt embargo on Gaza that would empower Hamas -- and thereby the Muslim Brotherhood, Iran and ISIS -- would seem an enormous risk for no gain. Turkey has no right to set any conditions restore a Turkish-Israel good relationship and of course will get NONE. Turkey's govt seems to set conditions for every normal step a govt. has the duty to take included with Europe. Excellent article; thank you Shoshana. Apart from the alliances that could be hurt by Israel cosying-up to Turkey is the growing alliance Israel has with Cyprus and Greece. Israel - keep well away. The Duo Obama-Erdo is bad news for Israel and yet Bibi is considering trusting the 2 most DECEPTIVE politicians in the world while sacrificing its relationship with Russia and Egypt!!! Is there some kind of blackmail going on with Abbas plan to go to the UNSC? Erdogan has done such extensive damage to Turkey's civil society, democracy and standing in the world that he cannot be rehabilitated. Before he is done he will have Turkey fighting all of its neighbors including Russia and Israel. It is a very dangerous thing when people believe their own propaganda. Clear analysis. Israel has to be crystal clear and demonstrate moral compass and integrity. It does not betray its friends. Period. There may well be an addition of a new word to adopt in the thesaurus about doing an Obama to mean the betrayal of ones allies and support for one's enemy. Not for Israel. Israel has to stand firm with the Sultan of Automania. He can take it, and most likely crawl to have Israel onside at its own terms. Virtually all antisemites and left-wing Jews are in agreement that blockade against Hamas must be ended? Why? It is very simple, It is not just the "empowerment" of Hamas that is at stake. Call a spade a spade and stop beating around the bush! Hamas will be enabled to bring in heavy armaments, planes, helicopters and long range rockets. This is simple stuff, not rocket science. Hamas' singular goal is to destroy Israel. No amount of trade with Turkey is worth facilitating that goal. I for one refuse to take Turkish Air to Israel, I don't care if they give me a ticket. I do not want to help Turkey. I was involved in the Leviathan contract between Israel and Turkey. I told the boss that this was a waste of time and money, that Turkey would not sign it or would pull out once signed. I was accurate. This is a largely privately owned operation. Israel has no obligation to provide Turkey with anything that will empower it. Otherwise, Turkey has to deal with Russia for its energy needs. Too bad for them. Nowadays as it has always been the case in history the only real law existing between States is STRENGTH and nothing else. The rest is just a COATING of paint. In the Israel/Arab (not "Palestinians" who are only Arab puppets) conflict the only way to end it is to transfer them to Eastern Palestine ie Jordan since they are Jordanian citizens since 1948. PERIOD.